Ruby chocolate is recognized around the world as the food trend for 2019 by research agencies, media and food experts. This fourth type of chocolate has also been awarded for its innovation in the United States and the Middle East. At ISM, at least eleven new brands will be introducing Ruby. 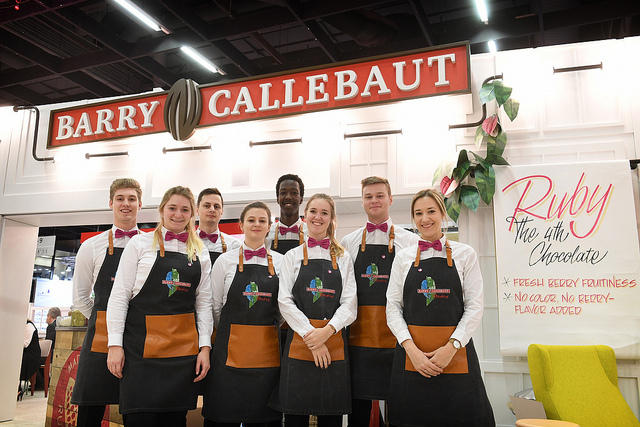 Thanks to the ongoing interest since its reveal in Shanghai in 2017, Barry Callebaut, the world’s leading manufacturer of high-quality chocolate and cocoa products, will dedicate its ‘BC Studio’ to Ruby at ISM 2019. Since its launch, the interest in and praise for this fourth type of chocolate have been overwhelming. 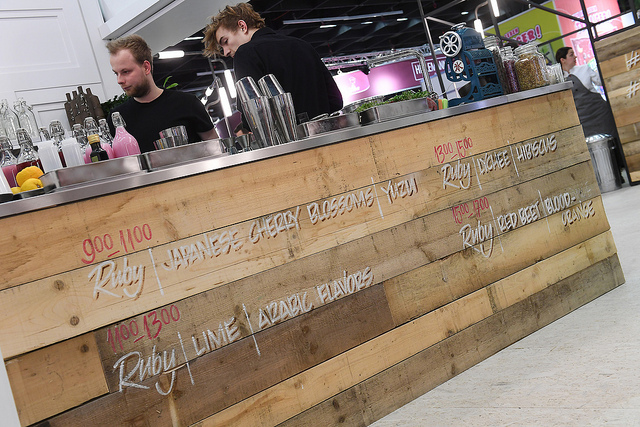 We are proud to see that eleven brands will be launching Ruby chocolate this year, and that’s just at ISM. 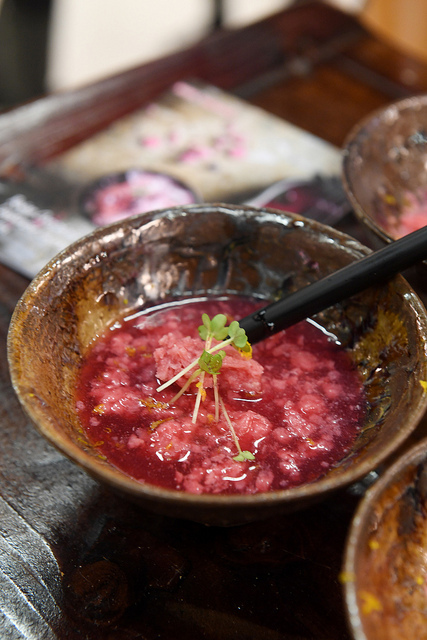 During the four-day ISM program, chefs from around the world such as Martin Diez, Dinara Kasko, Nina Tarasova and Melissa Coppel, among others, will give workshops and showcase Ruby signature creations in confectionary, drinks, bakery, dairy and desserts. 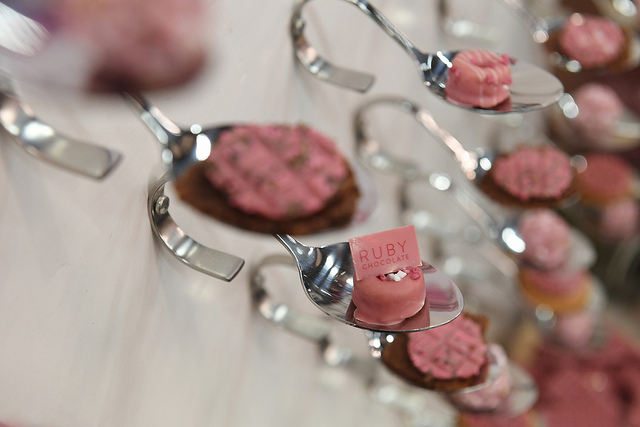 At ISM Libeert, Heilemann, Martinez, Cafe Tasse, Noi Sirius, Hug Wernli, Limar, Minor, Confetti Matrix, Witor’s, Läckerli Huus and more brands will launch their Ruby chocolate products. The world's largest sweets and snacks trade fair ISM 2019 takes place in Cologne, Germany from 27 - 30 January. Barry Callebaut is present in Hall 10.2 C10/D19. Barry Callebaut unveiled Ruby in Shanghai in 2017, after more than ten years of development. Since its launch, this new variety has been introduced in Asia Pacific, Europe, the Middle East and South Africa by both consumer and artisanal brands, including Prestat, Baci Perugina, KitKat, Leonidas and Fazer. This new type of chocolate is made using the Ruby bean. A unique processing method by Barry Callebaut unlocks the flavor and color tone that are naturally present in the bean. The taste experience is described as an intense sensorial delight - a tension between berry-fruitiness and luscious smoothness. Foodbev included Ruby in their ‘Top 5 Most Innovative Products of 2018’. Japanese business magazine Nikkei Trendy included Ruby in its ‘2019 Hit Forecast Best 30’ list. The magazine bases its rankings on sales, impact on the industry, and impact on consumers. In India, lifestyle magazine Harper’s Bazaar featured Ruby on their ‘Bazaar Hotlist: Bucket List’ in the first issue of 2019, and NY Mag added KitKat Ruby to their trend charts. Globally renowned entertainment show Saturday Night Live announced that Ruby is coming to the United States. In Australia, the Internet ‘went wild’ when Nigella Lawson introduced Ruby chocolate on Masterchef, according to Australian radio station Smooth FM. Hollywood also had a taste of Ruby chocolate at the Official Afterparty of the Oscars. Ruby chocolate is considered as one of the greatest breakthroughs in chocolate in decades by chefs and chocolatiers and received an award for the ‘most innovative supplier’ from the NCA (National Confectioners Associations) in the US. In the Middle East, Callebaut Ruby RB1 was awarded the prize for ‘the most innovative food ingredient’ at the Gulfood Manufacturing Industry Excellence Awards 2018. In Denmark, KitKat Ruby was selected as ‘Product of the Year’ by global retail chain 7- Eleven. With annual sales of about CHF 6.9 billion (EUR 6.0 billion / USD 7.1 billion) in the fiscal year 2017/18, the Zurich-based Barry Callebaut Group is the world’s leading manufacturer of high-quality chocolate and cocoa products – from sourcing and processing of cocoa beans to producing the finest chocolates, including chocolate fillings, decorations and compounds. The Group has about 60 production facilities worldwide and employs a diverse and dedicated global workforce of more than 11,500 people. The Barry Callebaut Group serves the entire food industry, from industrial food manufacturers to artisanal and professional users of chocolate, such as chocolatiers, pastry chefs, bakers, hotels, restaurants or caterers. The two global brands catering to the specific needs of these Gourmet customers are Callebaut® and Cacao Barry®. The Barry Callebaut Group is committed to sustainable cocoa production to help ensure the future supply of cocoa and improve the livelihoods of farmers. It supports the Cocoa Horizons Foundation in its goal of creating a sustainable future for cocoa and chocolate.